Many of us like beef jerky. Thinking of it makes our mouth water and rush to a nearest store to get it. The drawback here is many of the jerky that we purchase from stores might not be up to our expectations or might be just too expensive. 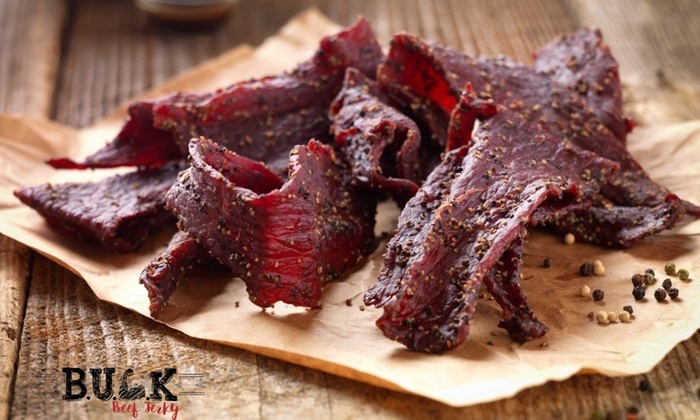 If you love cooking or experimenting, you can purchase beef from a butcher and make your own beef jerky. Jerky can be made from many parts of the cow. The best part would be the flank. 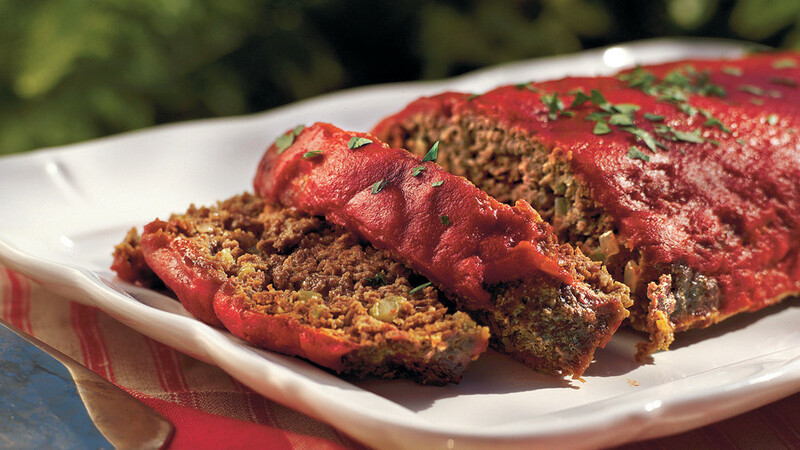 Ground beef also makes a good alternative if you are tight on budget. Flanks are a good choice as it is easy to cut, rub and marinate. 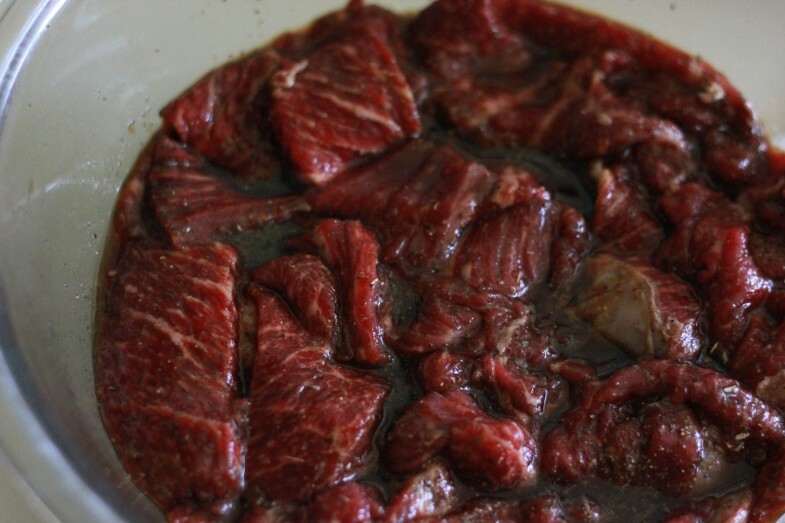 Ensure that you examine the beef for black spots or expiration dates. Ensure that your kitchen is clean and the counter is cleared for you to prepare the jerky. Place the beef onto the counter and start trimming the fat and skin with a sharp knife. Now comes the slicing part. Keep the meat in the freezer for an hour before you slice it. You need to keep in mind the grain of the meat for slicing it. The grain refers to how the muscle fibers of the beef are aligned. 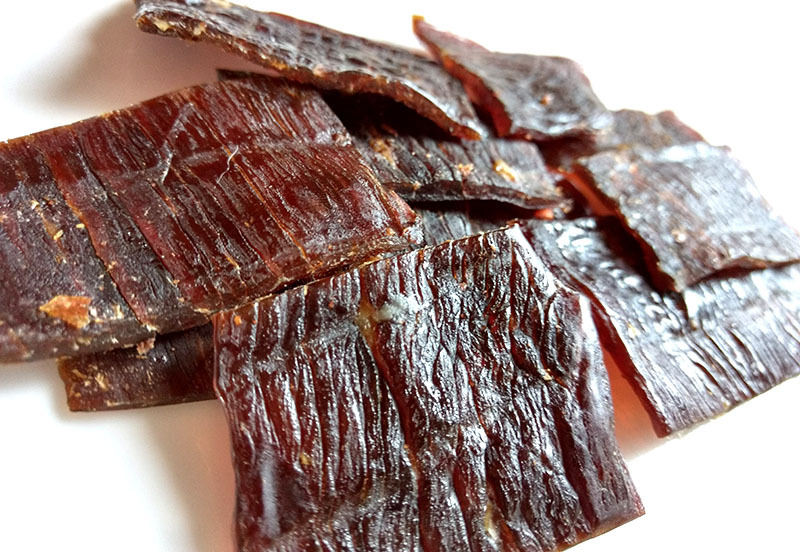 If you like the jerky to be chewier, then you can slice with the grain, otherwise across the grain. Next, after cutting the beef into slices, you can either rub or marinate with herbs and seasonings of your choice. Last, but not the least, you need to dry your jerky. This can be done ether with the help of a food dehydrator. Ensure that you set the dehydrator at the right temperature. If you do not have a dehydrator, you can even use an oven. You can then store these in an airtight container. You can experiment by setting the timers at different temperatures and for loner durations. You can start by the shortest time of 4 hours. Remove the strips and check the texture. If it is not as per your requirement, you can place it back in the oven and heat if for longer hours.